Crytek has been rather busy as of late. They’ve got a Homefront sequel on the way, they’re taking a stab at the MOBA genre with Arena of Fate and to make it a hat trick, they’ve also got a third game on the way in the form of Hunt: Horrors of the Gilded Age. 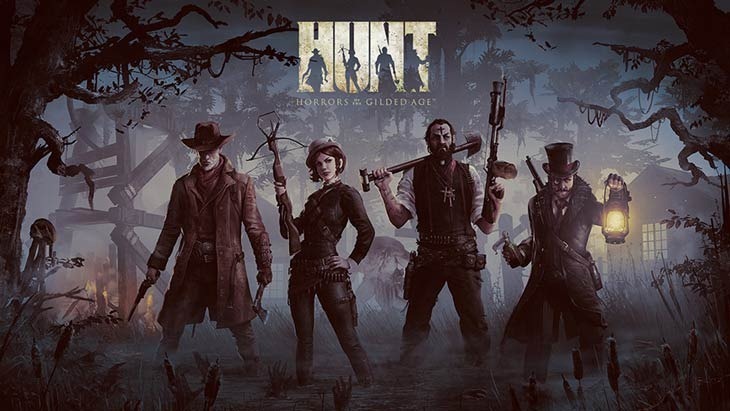 “In HUNT: Horrors of the Gilded Age, players will be counting their bullets and crying out for help as they delve deeper into the shadowy world we’ve created,” Crytek USA CEO David Adams said in a press release. From the outset of the development process, we’ve poured our imaginations into the game so that everyone who plays HUNT will discover a challenging experience that feels fresh, captivating and rich in possibilities. It’s essentially Left 4 Dead then, but with a western bend to it. It’ll be out on consoles and PC for free, as players team up and face down hordes of enemies and bosses. The closed beta kicks off later this year, and interested monster slayers can start signing up at the official Hunt site. It’ll be at E3 as well, so I’ll see if I can swing by and see if this game will replace Valve’s perennial Friday night favourite. Ordinarily, I’d post something here about the F2P genre getting perhaps a tad too saturated as of late…But dammit, I’m a complete and biased sucker for any game that involves me slapping leather and drawing a six-shooter.